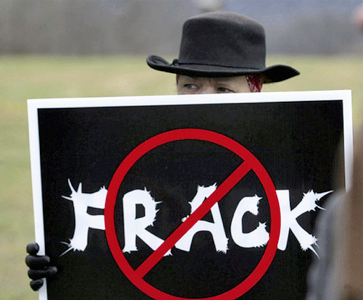 Fracking has taken center stage and a very hot issue among the many involved. But who is right? There are many political opinions about fracking (hydraulic fracturing) in California with most voicing a concern about what it would do to the state’s already delicate environment. But, many of these opinions lack scientific evidence, and the arguments, for or against, use terms and phrases that either install fear or confidence in fracking. This conflict has caused confusion among Californians that may lead to an apathy that could do more harm than good to the state. The concept of drilling deep in the earth’s crust (about 1.5 to 2 miles deep) to remove oil from rocks is not new. This process has been around for decades. What is new is the technique to drill at an angle and access larger pools of shale oil without drilling new and countless holes. This new technique is what has created a renewed focus on fracking. California’s Monterey Shale, which encompasses most of the Central Valley, could produce up to 64 percent of the nation’s oil and gas production for decades to come if fracking is allowed. It could also produce millions of good paying jobs. Although oil and environmental leaders have known about the region’s potential for decades, the focus has been in those states where fracking is already occurring with each site being studied by both sides to assess successes and failures. The specific techniques to conduct fracking are unique to each company and considered trade secrets. What is known is that the process may include chemicals that acidize the rocks. Depending on the geology of where the fracking is taking place, determines the amount and type of acidizing (including hydrochloric acid) being used. For the general public, this can be cause for alarm. For the oil industry, it is a determination of meeting the nation’s energy needs and protecting the public. For government, it has become a strategy of “catch-up,” especially since public policy has been focused at creating a “green” economy and protecting the environment, sciences that still need further development. This year, California’s state legislature has embarked in an open debate about fracking through the efforts of Senator Fran Pavely (D-Aguora Hills), who introduced SB 4. 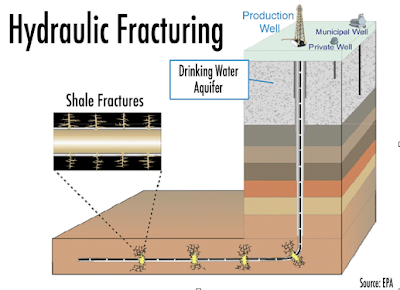 SB 4 is perhaps the nation’s, and possibly the world’s, first legislation that defines fracking, but more importantly, opens the topic for public discussion. This statement has alarmed many environmental groups, resulting in a campaign against Brown that are primarily based on ideology and not science. Conversely, the Western States Petroleum Association has taken the Governor’s comments as a welcome to pursue fracking as an option to meet the State’s and nation’s energy needs. However, Brown maintains an optimistic outlook to both. “Whether it’s fracking, or whether it’s a low-carbon fuel standard, or anything else, we keep our eyes open and we’re not jumping on any ideological bandwagons,” Brown stated at a recent press conference. California faces a multi-pronged opportunity to lead the nation and perhaps the world in addressing fracking by establishing public policy that could benefit all parties. To accomplish this, it will need to ensure an open dialogue among all parties involved, especially the millions of Latinos inhabiting the surface of the Monterey Shale region. In an effort to stimulate knowledge-based discussion among fellow legislators, State Assemblymember Rudy Salas (D-Bakersfield) hoped to conduct a tour of a fracking site in Bakersfield. Unfortunately, the tour was canceled at the last minute without a satisfactory reason for some, while others figured it was political. This article glazes over the real issues forming the foundation of the politics behind oil fracking in California. If anyone enjoys being on the losing end of democracy, then yeah. let's drill horizontal holes all over California, fill them with lethal chemicals and very powerful corrosives such as hydrofluoric acid and hydrochloric acid, potentially contaminating drinking and agricultural water, degrading soil and property value, jeopardizing biological diversity, and substantially exacerbating global warming. Are you aware that each time a well is drilled in the ground, even if for oil, significant levels of methane gas escapes into the atmosphere? Are you also aware the Intergovernmental Panel on Climate Change, whose influential report released in September, stated methane gas in the atmosphere is twenty-times worse than CO2 over a twenty year period? Democracy has been demolished by Governor Brown. As he changed the language of SB4 at the eleventh hour, essentially handing over the vast majority of guidance to the Division of Oil, Gas, and Geothermal Resources (DOGGR) bypassing California's landmark California Environmental Quality Act (CEQA). CEQA is a statute passed in 1970, shortly after the United States federal government passed the National Environmental Policy Act, to institute a statewide policy of environmental protection. CEQA sets the thresholds that trigger an environmental review of any infrastructure project, including digging fossil fuel wells. Governor Brown's language diverted the responsibility of CEQA to DOGGR, an agency known to favor the oil and gas industries over the protection of human health and environmental protections. Governor Brown's action thwarted democracy as he decided his judgment of democracy overrules established environmental laws. To make matters even worse, Governor Brown included language that virtually mandates oil fracking and well acidization take place until the time the SB4-mandated scientific and independent report is concluded by January 2015. That means both human health and environmental protection will not be available for over a period of a year in California. Let me return to the type of acid that is used to dissolve geology deep underground - under our homes and crisscrossing our watersheds. Hydrofluoric acid in particular is a powerful corrosive, capable of eating through steel as well as rock. Hydrofluoric acid (HF) has a number of chemical, physical and toxicological properties, which make handling this material especially hazardous and has the potential to produce serious health effects. HF shares the corrosive properties common among mineral acids but is unique in its ability to cause deep tissue damage and hypocalcemia. The unique toxicological properties of HF are due to the action of the fluoride ion. Fluoride ion causes soft tissue necrosis and bone damage by binding calcium. Fluoride ions are both acutely and chronically toxic. Acute effects of HF exposure include extreme respiratory irritation, immediate and severe eye damage and pulmonary edema. Hydrocloric acid is a colorless liquid with a sharp and extremely irritating odor. Upon exposure to air, there is an immediate release of toxic hydrogen chloride gas. As a strong corrosive acid, hydrochloric acid reacts with many metals producing flammable hydrogen gas that can become an explosion hazard. Considering the toxicity of each of these acids, I would much prefer CEQA develop the threshold model rather than an industry stooge, DOGGR. There are dozens of other reasons oil fracking in the state of California should be banned and not based on "fear"; however, on facts and reality. I would be happy to share these facts with you and your readers because what you have written is at best, weak and does not produce any facts whatsoever.